Block Out (Sega Genesis, 1991) Cartridge Only! 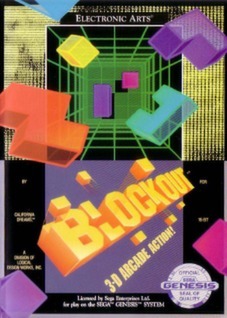 Block Out (Sega Genesis, 1991) - Cartridge Only! Block Out BlockOut *Authentic* Sega Genesis Game Super Fast Shipping NICE! Block Out BlockOut *Authentic* Sega Genesis Game Super FREE SHIP! Block Out (Sega Genesis, 1991) Tested & Working!